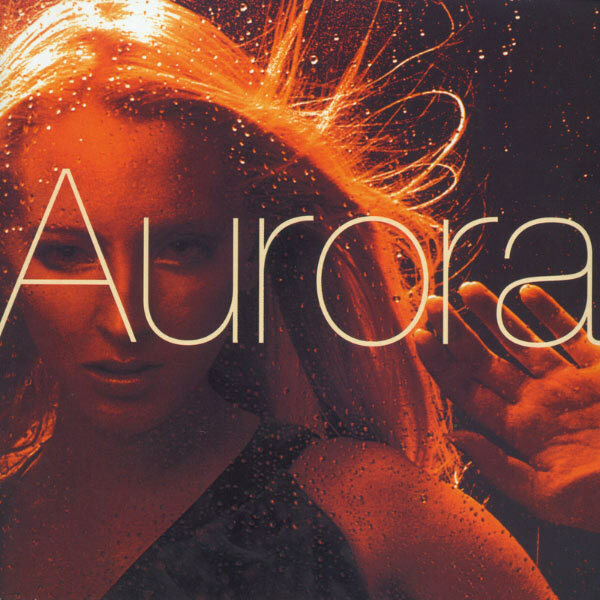 Today’s POP RESCUE is the 2002 eponymous album by Aurora. Having known of their singles, I’ve been expecting to hear a dance album not unlike Fragma‘s Toca, but it’s not like that. It opens with Dreaming – what could easily be mistaken as a track from Natalie Imbruglia’s sublime Counting Down The Days album. Warm guitars, soft and mellow vocals from vocalist Lizzy Pattinson all welcome you in. Then we’re off into some sweeping, pumping, dance with The Day It Rained Forever. Again with wonderfully warm vocals. This style reminds me a lot of Deepest Blue’s Give It Away single. Aurora’s Duran Duran cover of Ordinary World is the track which first drew my attention to them – resulting in me buying their third single. Naimee Coleman sings the vocals here, and it’s a gentle and again, beautifully guitar fuelled, mellow track. Lizzy is back with the first album track Your Mistake, opening with record crackle, a haunting piano with strings, but this doesn’t feel like it should be an album track. We’re four tracks in, and all sound great. Actually, make that five. Naimee is back again, singing Hushabye. In My Skin opens sounding like Robert Miles’ hit Children, before Lizzy’s vocals take the track off into a new direction with beats and bass. She continues with This Can’t Be Love, yet more wonderfully warm sounds. Former Shakespears Sister member, Marcella Detroit takes the vocals for the Gordon Lightfoot cover, If I Could Read Your Mind, and she does an excellent job with this classic track. Similarly, she has the vocal power needed to scale the vocals alongside the strings of To Die For which follows it. When final track Hear You Calling was released as the first single in 1999, it reached #71 in the UK singles chart. Getting a re-release in 2000, it reached #17. Here it features as a gentle, chilled out, ending to a great album. Aurora duo, Sacha Collisson and Simon Greenaway continued to release a number of tracks after this album, mostly cover versions, but they never replicated the success that Ordinary World gave them in 2000. Sacha Collinson continues to make music. 2002 UK CHART POSITION: Did not chart in the UK. Posted in 2000s, Aurora, Marcella DetroitTagged 2002, Duran Duran, Hear You Calling, If You Could Read My Mind, Lizzy Pattinson, Marcella Detroit, Naimee Coleman, Ordinary World, reviewBookmark the permalink.